Rotel RCD-1572 on laadukas hyvin neutraalisti soiva cd-soitin. Laitteessa on sekä RCA- että XLR-lähdöt ja digitaaliset yhteyttä varten koaksiaali-liitin. The RCD-1572 elevates performance by utilizing a purpose designed and built CD mechanism along with other circuit refinements. One of the RCD-1572’s most important features is the Wolfson WM8740 digital filter/stereo digital-to-analogue converter. Originally developed for high resolution sources, it is the product of extensive research and real world testing and processes digital signals up to 24-bits in length at sampling rates from 8 kHz to 192 kHz. While word lengths and sampling speed may seem excessive for CDs delivering data at far lower rates, this high speed facility adds reserve capability to ensure proper reproduction under all circumstances. As the most crucial link between a CD’s digital data and the analogue world in which we listen, this converter boasts significant attributes in addition to its superb high resolution capabilities. 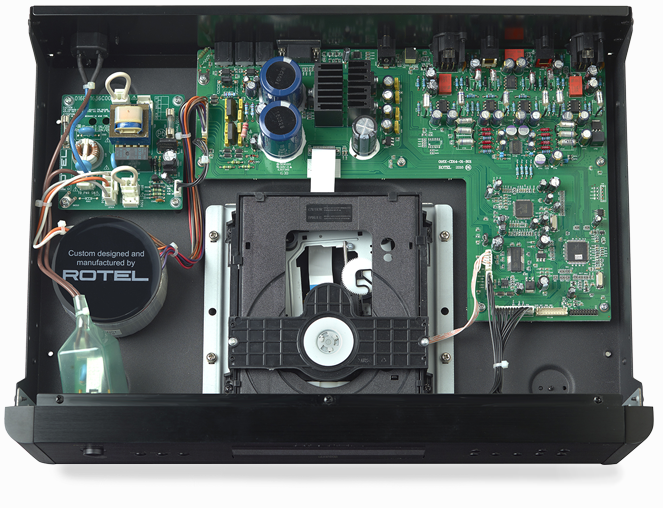 The post-converter analogue circuitry benefits from Rotel‘s decades-long experiences in crafting the finest sounding pathway from the DAC’s internal output to RCA and XLR rear panel connectors that bridge the gap between the RCD-1572 and down-stream components. 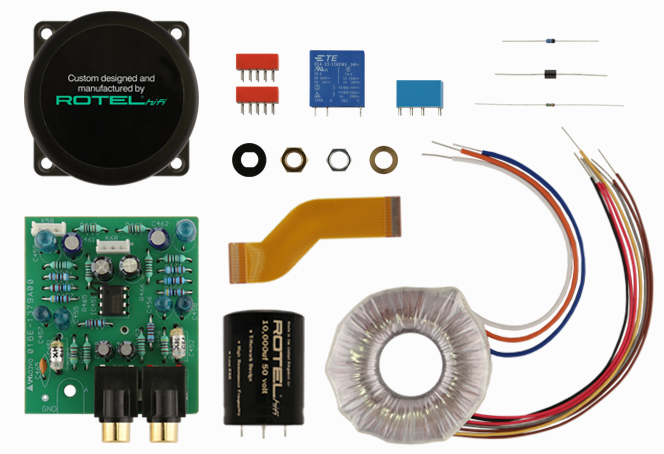 All circuit components – resistors, capacitors, inductors – are chosen only after their positive contribution to sound quality were quantified and verified qualitatively by extensive listening sessions.